Spirit: Synthesis, Learning, Expansion, Relativity. Places to visit: Argentina, India, Japan. Things to learn: Kite Surfing, Piloting, Programming. Everything that has been building up for some time now will blossom before autumn comes, and Jupiter’s beneficent glance from the sign of Libra makes you feel supported and turned to togetherness and partnership. You will feel the need to share certain goals and efforts with other people, and be unusually comfortable around them as if there is no more reason to chase for your own, personal achievements. This is a year for giving and treasuring all that you already have, and it will prepare you for the process of letting go of negative emotions that starts from the middle of October. The summer will bring numerous surprises, with all of the fast planets in your sign and Mercury turning retrograde only to come back to you. This will trigger many unresolved conversations and make your mind foggy and turned to the past, while emotions will be impossible to separate from rational thinking. Regardless of the challenges throughout this year, stable relationships will last on, you’ll build a strong basis for creative expression, and have a chance to expand your mind, learn and travel as far as you wish to. The end of August will bring a lot of energy your way, but you could have trouble cultivating it and focusing it on practical issues. Be sure to have something to work on at that time and follow a plan towards success. Autumn will bring some disappointments, but only if your expectations weren’t realistic and you saw other people through the lens of your own character. With many productive and positive relationships in your life, this whole year will be good to build solid friendships, socialize, and share warmth with people you love. Enjoy every adventure that comes your way and share each one with someone special. You could be prone to imagine the best possible scenario in situations that should be approached more seriously. While it is good to have faith in good, it won’t help to be irrational and unrealistic. Routine can be easily maintained throughout 2017 for Saturn supports you from Sagittarius and your fifth house. This is a perfect time to be on a healthy diet and creatively express through cooking and food preparation for a certain goal. Problems with small intestines, throat and vocal cords are possible in the spring and the end of summer, while autumn brings a new threat to your bloodstream and liver. This is the time to avoid alcohol and drugs, carefully taking all sorts of medication, even ones that come with a prescription. This is mostly the time for practical matters when it comes to love. There won’t be much time to enjoy the fun spree you’d like to be on, but you will love what you can do and express with depth and true dedication. Try not to expect miracles in your emotional life, as hard work brings the greatest rewards this year and long-term relationships are the only ones you can count on. Many Leos will make a decision to start their life with someone or get married. Organize well and hold on to your personal boundaries and personal space when it comes to dealing with relatives and your closest family. You need closeness and understanding, but this won’t come out of too much physical contact and unwanted interfering with your life. As always, the best time to start something new and begin a business adventure on your own is the beginning of spring while your sign’s ruler is in Aries. This is also the time when help from a friend can be expected, bringing a lot of opportunities your way. Whatever you learn at this time will have a chance to be implemented before the end of summer, but the first chill of winter will take away your energy and make you feel grumpy about everything that wasn’t done in time. Use the first part of the year to work on your way up the ladder, but try not to hold on too tightly to the image you create for the outer world. Results will be there for the taking if you are prepared to work and sacrifice some of your leisure time for the higher cause. Goals made this year are bound to be reached and you’ll have luck on your side, as well as your knowledge and expertise. Financial situation won’t be as satisfying in January, September and December, but you’ll have enough opportunities to regain what you lost and spent along the way. 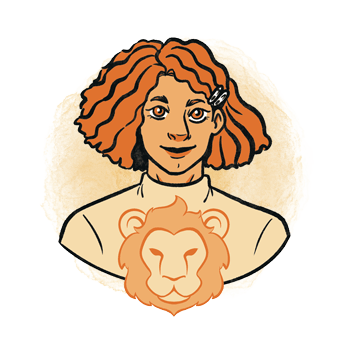 Leo - traits, personality, dates, characteristics and astrological sign information. Leo Horoscopes - daily, weekly and monthly Leo horoscopes..
Leo man - information and insights on the Leo man. Leo woman - information and insights on the Leo woman. Leo history - the history of Leo and the stories behind it. 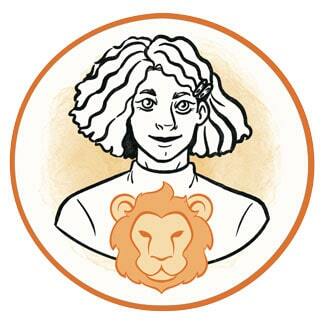 Leo symbol - images and interpretations of the Leo symbol and ruler.